104 out of 105 counties in Kansas offer some sort of driver's license and/or ID card service. 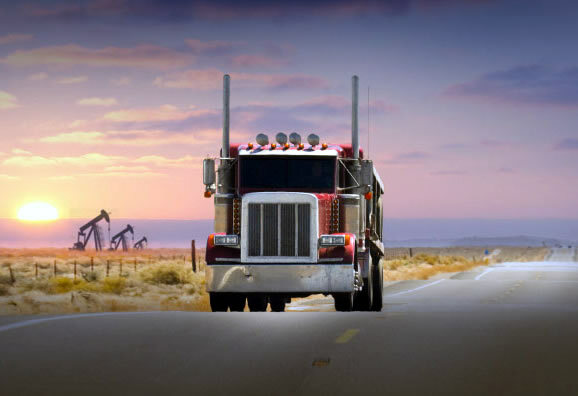 Driving examinations are only given in full-service offices and cannot be started within the last hour of the day. Anyone boarding an airplane or entering a federal facility using state issued ID after October 1, 2020, will need a Real ID. Real ID is a federal law passed by Congress in 2005, designed to establish minimum security standards for state-issued Driver's Licenses and Identification Cards. 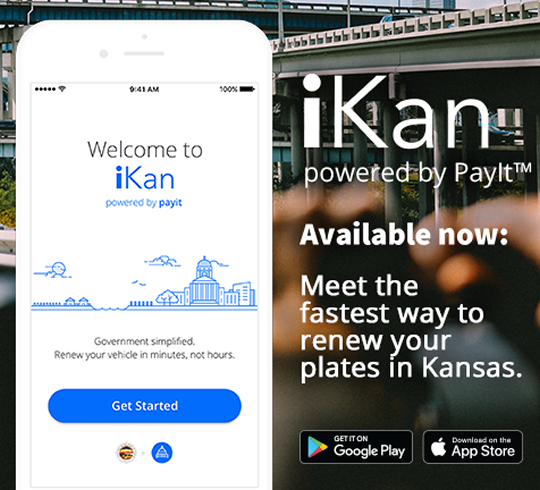 Kansas Residents will be able to use their current driver's license or ID until October 1, 2020 in airports and federal facilities. Click the button below to get more information on Real ID. Take our survey and let us know how we are doing! 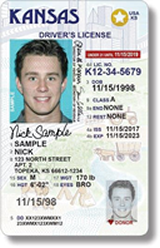 The link below allows you to get in line at one of the following driver license stations: Topeka, Olathe, Mission, Kansas City, Wichita, Andover, Derby and Manhattan. Thinking about a personalized plate for your vehicle? Search our database to see if your choice is available! What information do I need to get my license or ID card? Acceptable Document Checklist - Use this checklist before you arrive to make sure you bring in the correct original documents to apply for your driver’s license or identification card. NOTE: Please allow 45 days to receive your credential in the mail. My license was revoked. How do I get it reinstated? All information related to suspended or revoked licenses can be found on the suspended license page. I have a valid license from another state, and will be moving to Kansas soon. What do I have to do to get a Kansas driver’s license? Refer to this page for licensing requirements. What do I do if my license is stolen? File a police report immediately. This proves to credit providers you were diligent, and is a first step toward the initiation of an investigation. Obtain a case number. Go to the nearest driver's license examination station to report a stolen driver's license and to obtain a duplicate license. Keep a record of all the steps you take. Always ask for the name of the person you are talking to at any law enforcement agency, credit reporting company, or driver's license office. You may select DL Renewals, DL Original, Driver Solution, Conceal Carry or ADA Request to reserve a spot in line at the location you choose. Your reservation is activated when you arrive at the licensing office you selected and check in at the greeter station. You will not receive updates on your place in line until you have checked in at the licensing office. Report alleged fraud in the driver's license organization by clicking here.